Natren animal probiotics are specially formulated to support the digestive balance of cats, dogs, horses, birds and all show, working and farm animals. 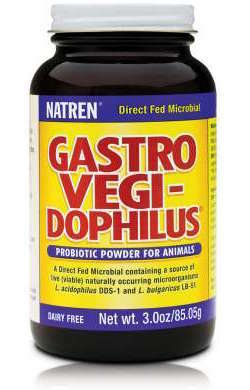 Probiotics, or Direct Fed Microbials can be beneficial for supporting intestinal balance. 3 ounce powder in brown glass jar.